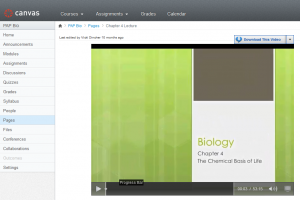 This course includes all of the topics covered on an SAT II or CLEP biology exam. 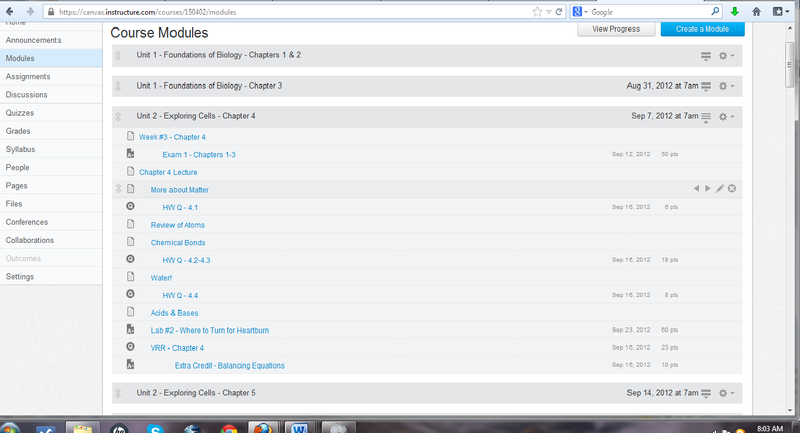 Some topics, like ecology, will be an overview. Others, like genetics, will be more in depth. Test taking strategies will be taught and opportunities for taking practice exams will be available for those interested in taking an assessment exam at the conclusion of the course. 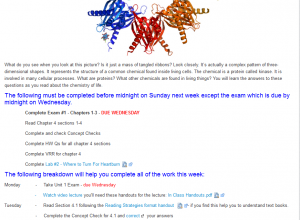 Each week students will find all of the assignments listed on the class website (see right). 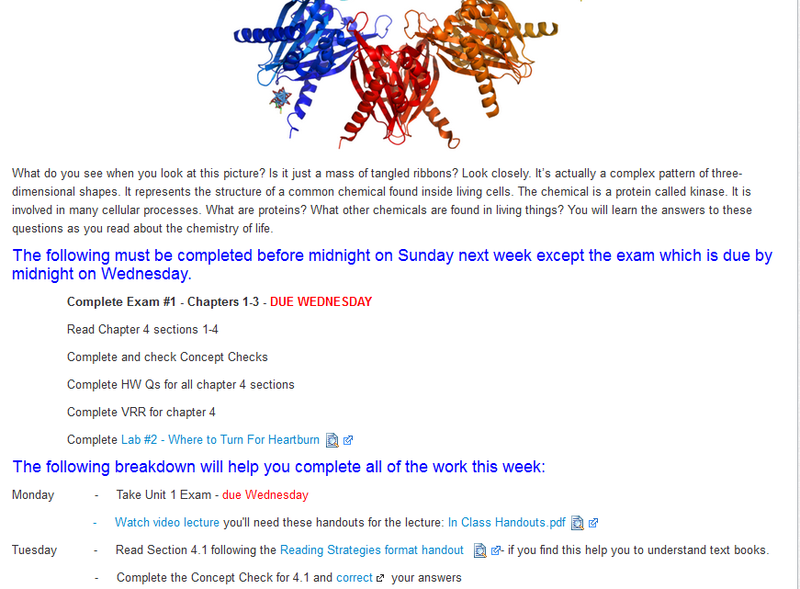 When a student clicks on the weekly assignment link, like “Week #3 –Chapter 4,” a new page will open. 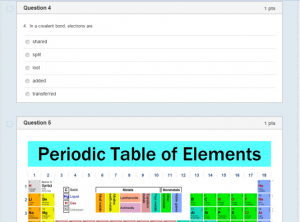 On that page the student will find a listing of the homework and a suggested daily breakdown of the reading and homework question assignments (example left) for that week. 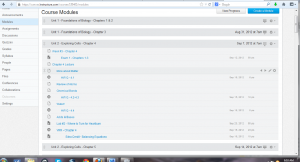 When a student clicks on the “Chapter 4 Lecture” link, a page will open that will have a recorded lecture giving an overview of the text material and will drawing attention to important concepts to be covered during the reading that week (see below right). 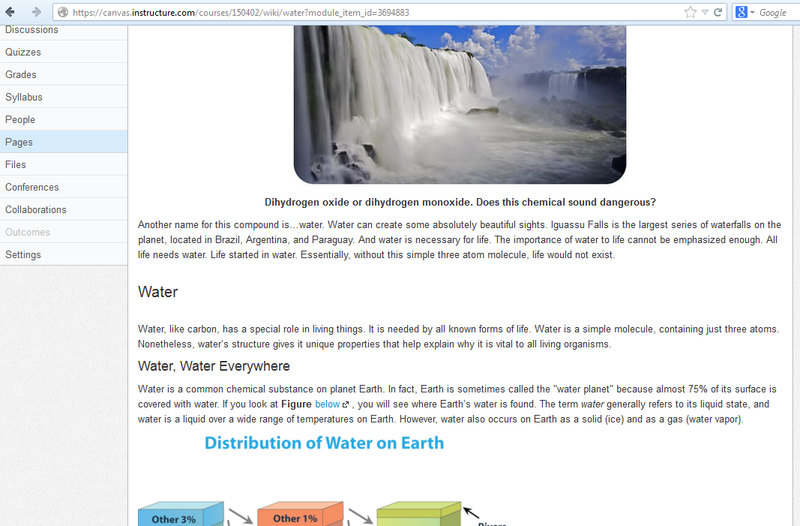 Also, additional material on the website—including videos and interactive links—allow students to further investigate the concepts covered (example below). Homework consists of 2 to 10 multiple choice, true or false, matching, and short answer essay questions covering concepts studied (see below right). 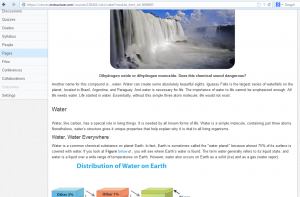 Other homework includes handouts and webquests designed to aid student understanding (a scanner will be necessary for submission of these assignments­—most printers are equipped with scanners). 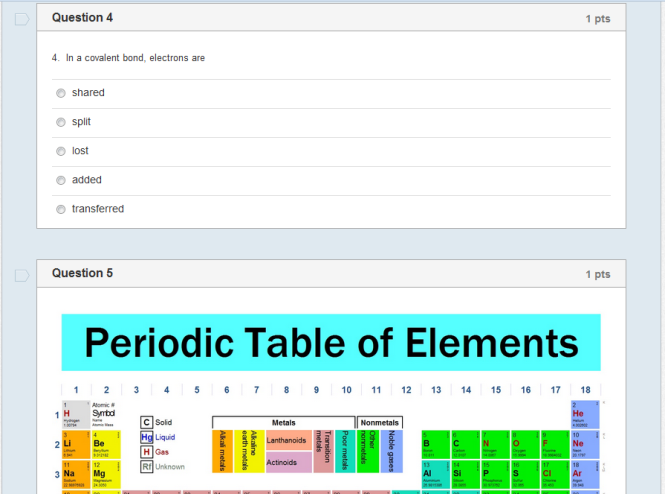 There will be unit exams (eight of them) that will consist of the same type of questions found in the homework. There will be approximately 12 labs during the course. The labs will use easy to acquire materials (I will provide you with a list of materials and where you can purchase harder to find items) and will be hands on in nature. Graphing and data analysis/interpretation will be taught as part of the lab work.. Several webquest mini-labs using interactive sites help students visualize lab procedures (example below). 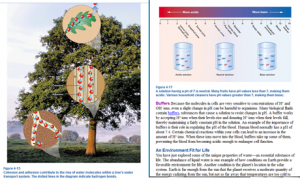 The text, Biology, Exploring Life, Pearson/Prentice Hall (ISBN 0-13-062592-2) is thorough, easy to read, and full of pictures and diagrams to help students connect new information to what they already know (see example below right). Live discussions will be held as needed (usually weekly) to review material, work through problems, consider current event case studies, or allow for student presentations. WebEx will be used for these live group discussions (see a 20 minute example of a bio class discussion by clicking on: http://www.screencast.com/t/3gOIchadUd). Three projects (one is a collaborative group project) give students the opportunity to make models and give presentations to the group. I am always available to students via email, Skype, Canvas “office hours,” or by phone if additional help is ever needed. 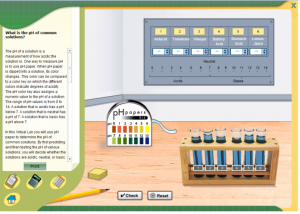 Science is my passion, and it’s my goal to help all of my students enjoy science as they learn. Please let me know if you have any questions.